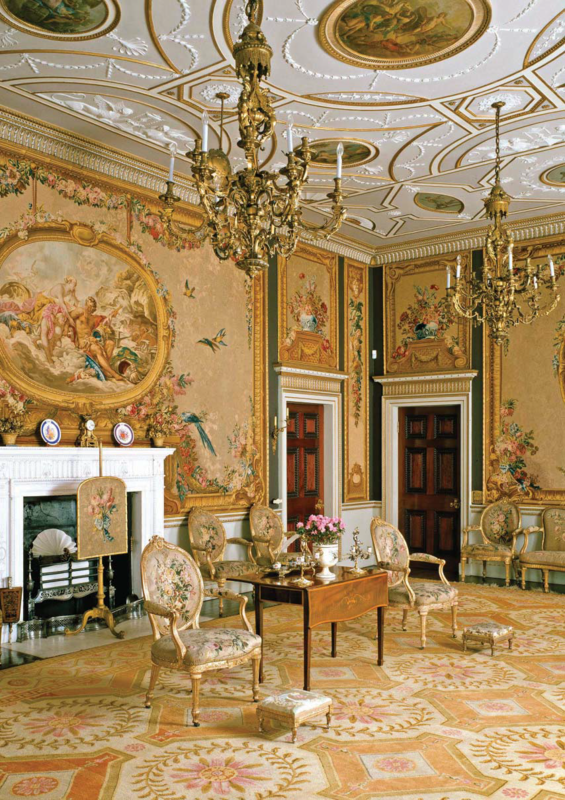 Up until the 18th century Age of Elegance, few people in this country would have set foot on a carpet. The floors of the homes of this Isle would have been made of beaten earth covered in rushes or straw threshings, flagstones or wood. 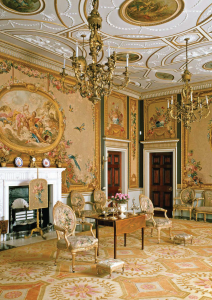 As late as 1751, a carpet was described as “a sort of covering to be spread on a table, trunk, an estrade (dais), or even a passage or floor”. In Scotland, in the latter part of the 18th century, a flat reversible double-woollen floor cloth was becoming popular as a means of rendering the houses comfortable and as “a security against stone buildings, stone staircases and a cold climate”. “Kidderminster stuffs”, initially used as table cloths, were adapted in 1735 as a coarse double-weave cloth for flooring, but it was not until the middle of the 18th century that the glorious hand-knotted seamless carpets were born in the market town of Axminster and spread on the floors of palaces and country homes of Great Britain and beyond. The inventor of Axminster Carpets was a local man – Thomas Whitty – and it is his story and that of the second great weaver of Axminster, Harry Dutfield, which we seek to tell. You can download or view in your browser the original booklet The Story of Axminster Carpets (PDF) edited by Sasa Jankovic (www.sasawrites.com).